Our Oswego patch still has lots of BEAUTIFUL pumpkins waiting to be picked! Naperville and Oswego farmstands both have pre-picked pumpkins as well. Open 9-6pm today. CLOSING FOR THE SEASON TOMORROW AT 3PM! 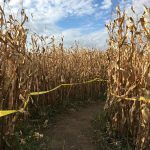 Last weekend for Corn Maze! This weekend is the last weekend for our corn maze as well as all other weekend activities! Please refer to our “Saturday and Sunday Festivities” page (under Fall) for a complete list of those activities. Lots and lots of pumpkins! 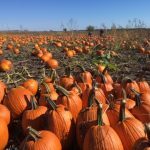 We have LOTS of pumpkins still on the vine in the Oswego patch as well as pre-picked pumpkins at Naperville and Oswego farmstands. Stop over for that perfect pumpkin! Lots of colors and varieties available. 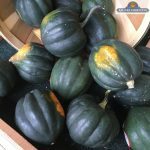 Fall is all about winter squash! We sell acorn, butternut, and spaghetti squash. Check out our Pinterest page for recipes! We are open today from 9-6pm. After getting 5 inches of rain in the past 24 hours, some activities on the farm will be muddy. The corn maze is slick in some areas and muddy in others. WEAR BOOTS! You will not be able to push a stroller or wheelchair in the maze due to these conditions. The pumpkin patch is muddy, too, so wear boots in that area as well. Grassy areas are fine but wet. 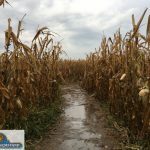 Due to heavy rainfall, our corn maze is extremely wet. Our corn maze will remain open tomorrow (Sunday, October 15). Be prepared for muddy conditions. You will need boots! 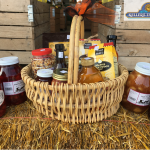 Our Plainfield Farmstand will be closing for the season on Columbus Day. 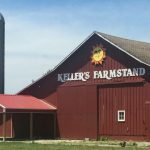 If you frequent this location often, it’s only a 10-minute drive to our Oswego Farmstand at 2500 Johnson Road. Thanks for a great season! Don’t forget the apple cider! 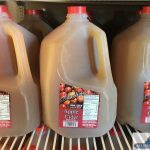 We have apple cider in gallons and 1/2 gallons! We stocked up for this busy weekend. It’s refreshing when cold but comforting when hot! 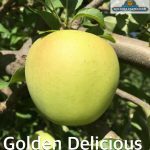 Golden Delicious, Red Delicious, & Crispin ready on Saturday!